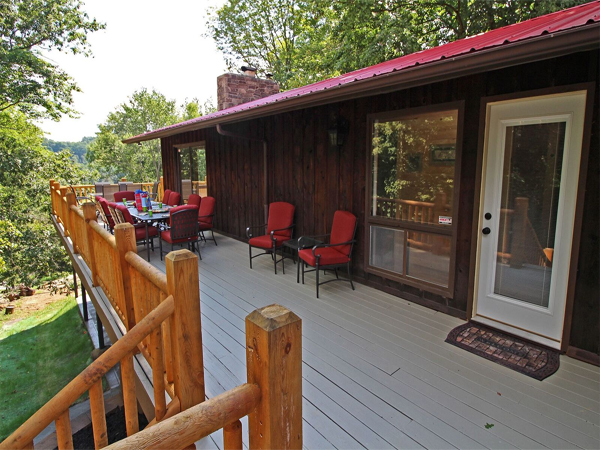 High Point Lodge is the Premier choice for all your large gatherings. 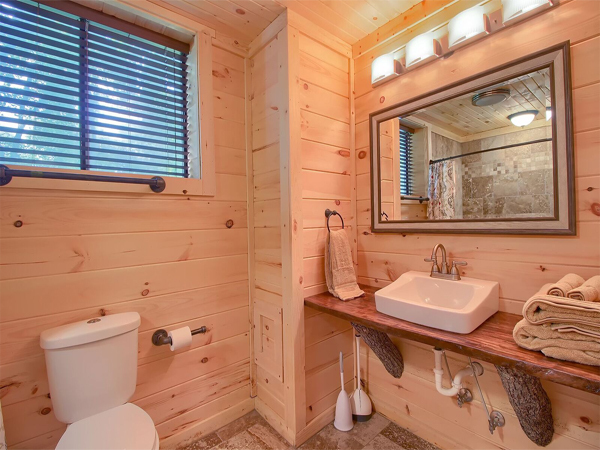 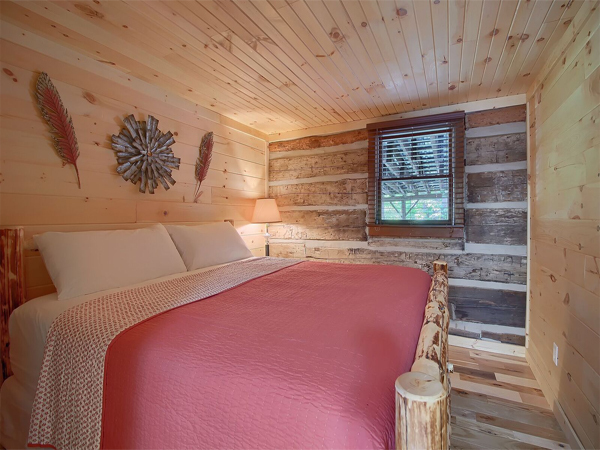 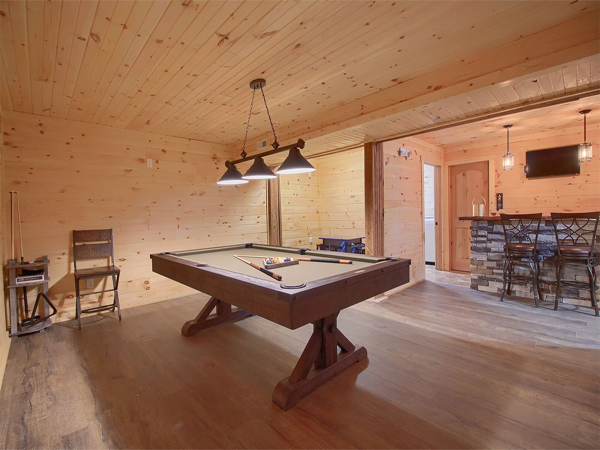 Experience a unique blend of past and present in this completely renovated lodge, featuring the original hand-hewn log cabin. 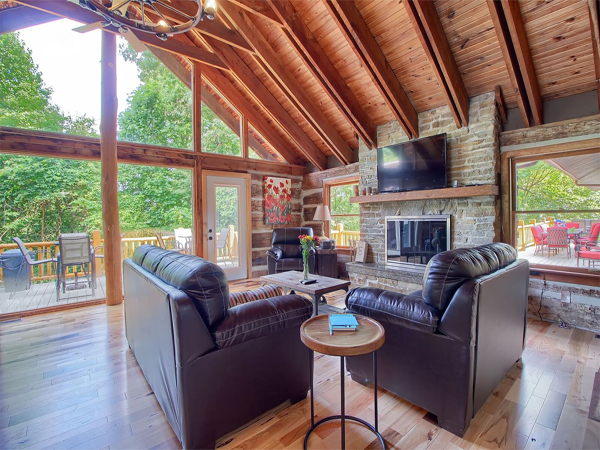 High Point Lodge earns its name by being situated in a secluded park-like setting atop a hill, but the 6,500 square feet of luxury accommodations just may be the high point of your stay in the majestic Hocking Hills. 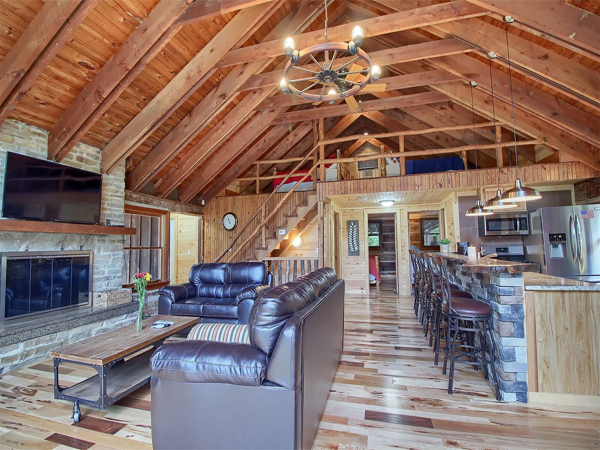 You'll wish your stay was longer to enjoy all this lodge has to offer. 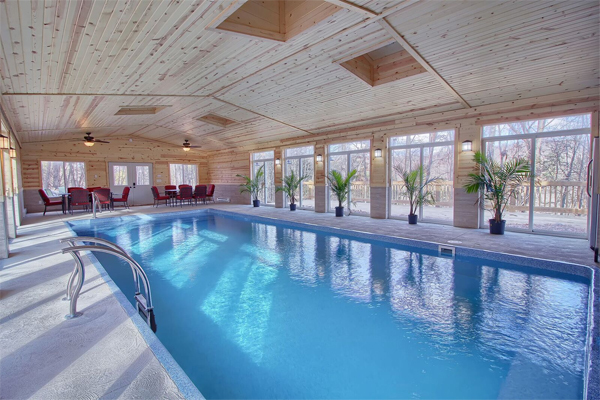 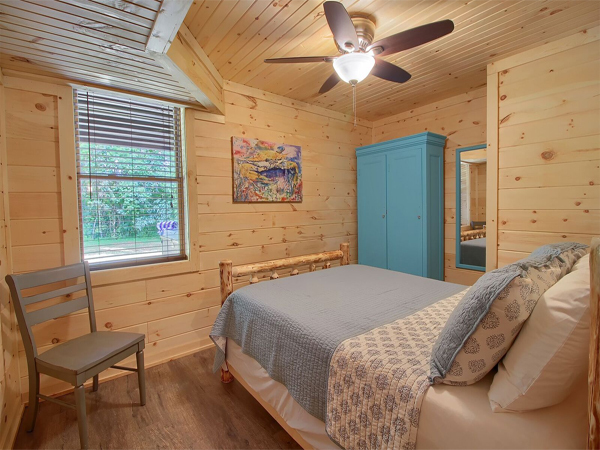 Relax, play, or exercise in the indoor saltwater pool in the detached pool house complete with a bathroom, comfortable patio furniture, and full size refrigerator. 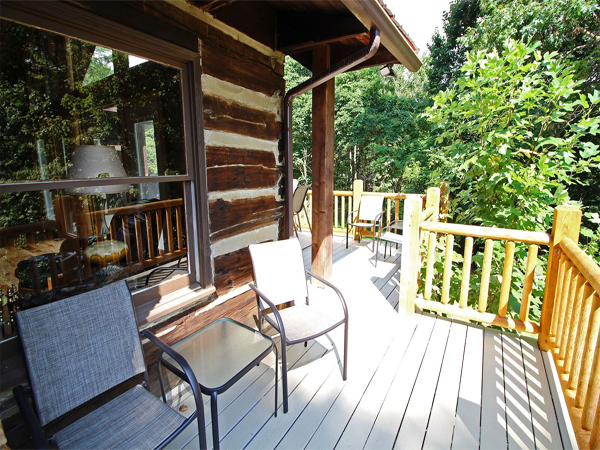 Open up the sliding glass doors in the warm months to get the feeling of being outdoors-no sunscreen required! 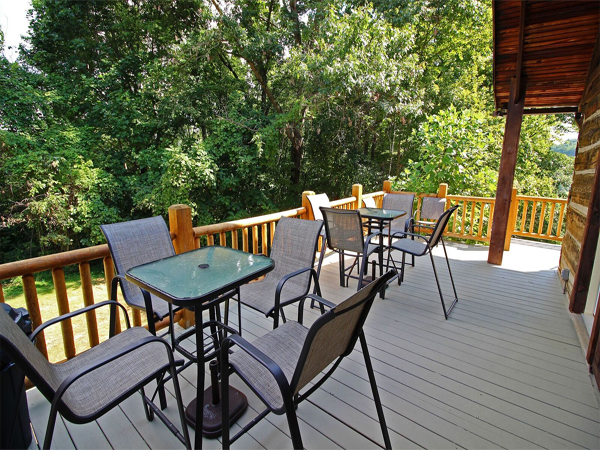 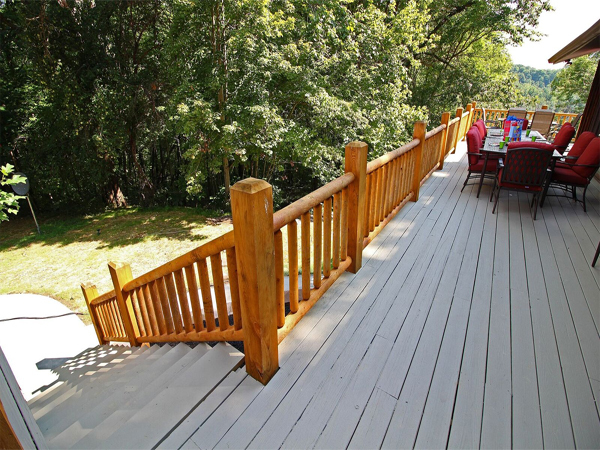 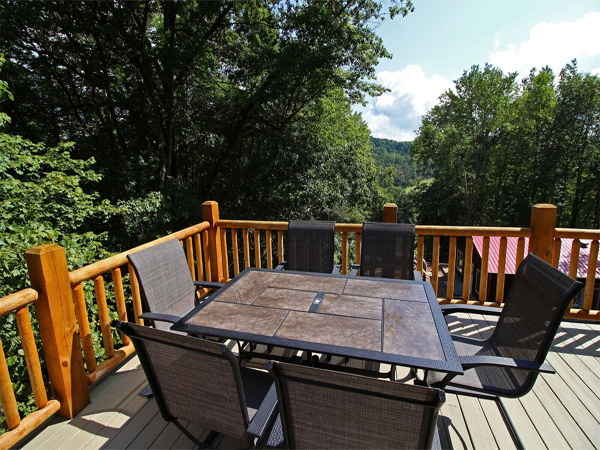 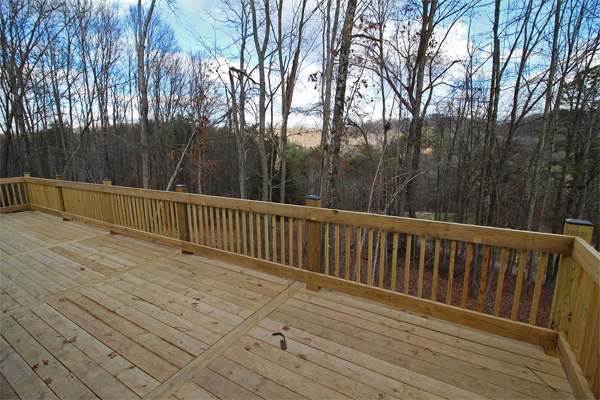 Or sunbathe on the attached deck overlooking the expansive front lawn and tree-lined hillside. 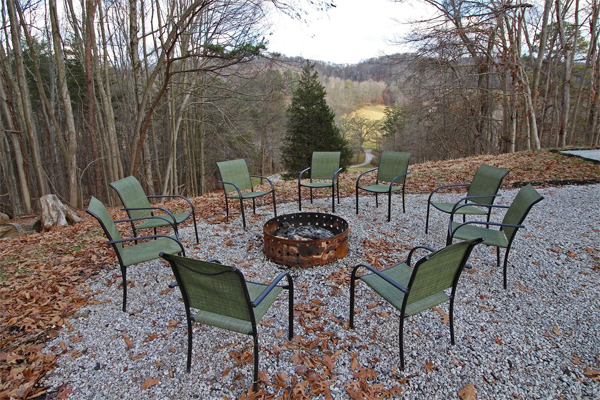 When the sun sets, cozy up to the fire ring or warm up in the covered hot tub. 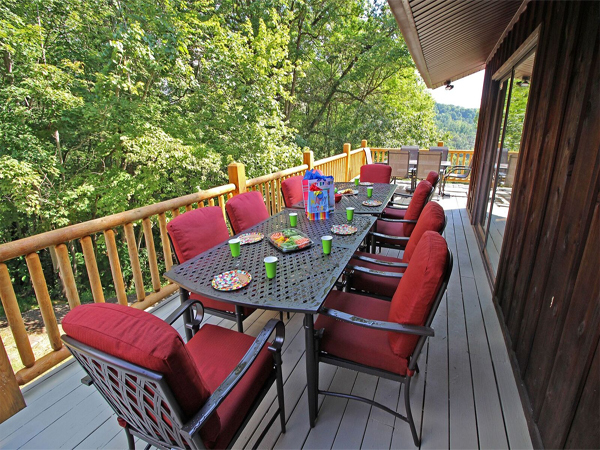 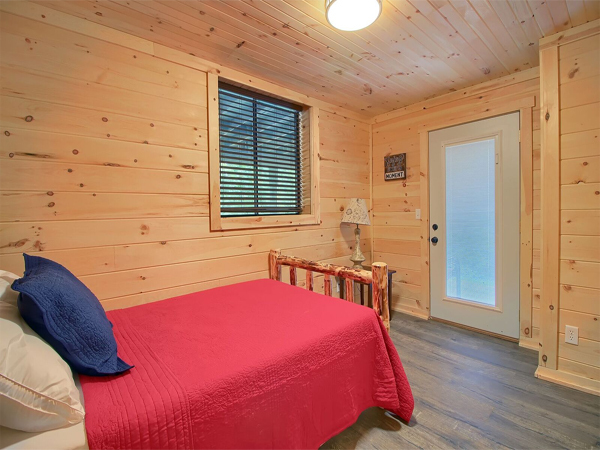 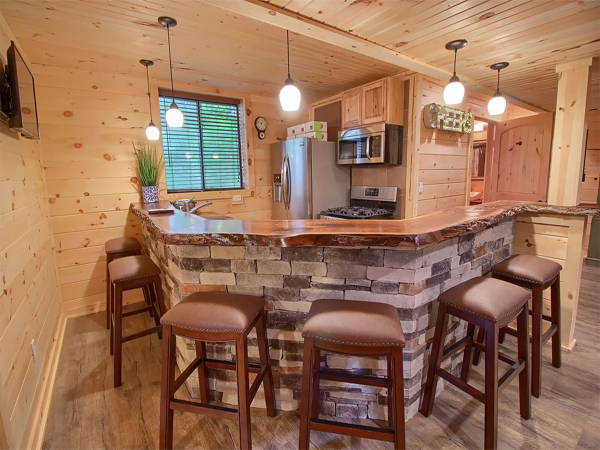 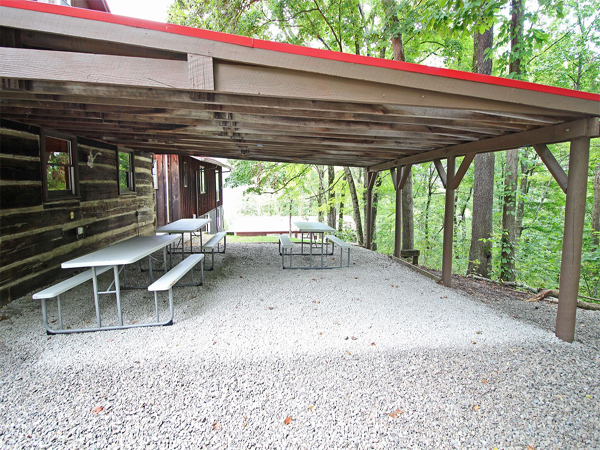 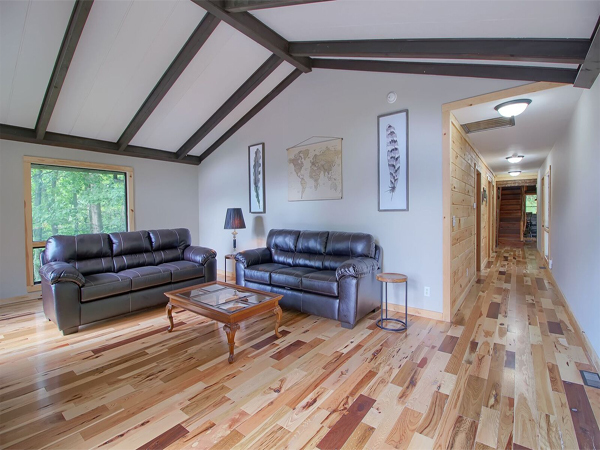 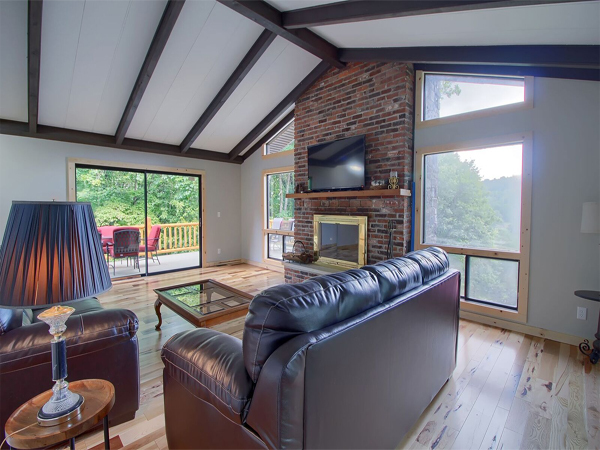 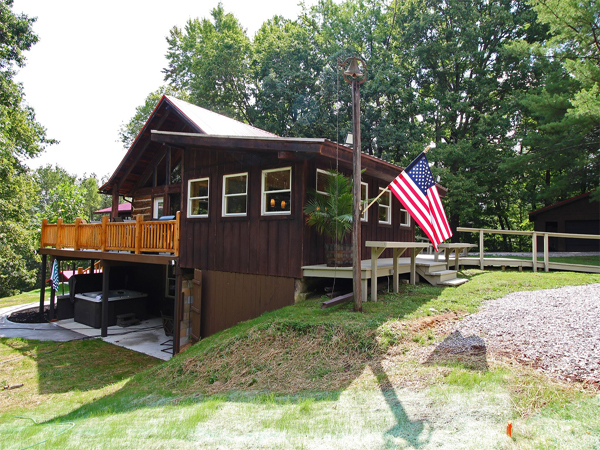 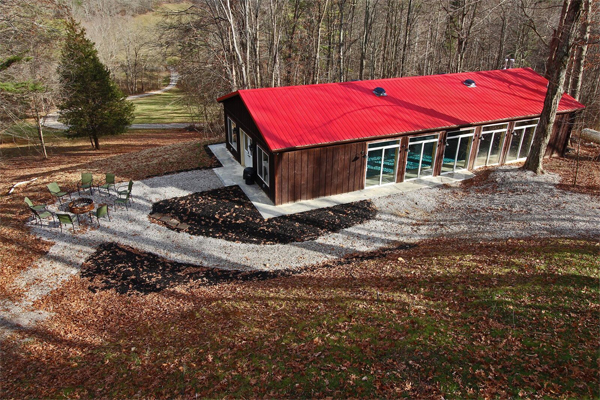 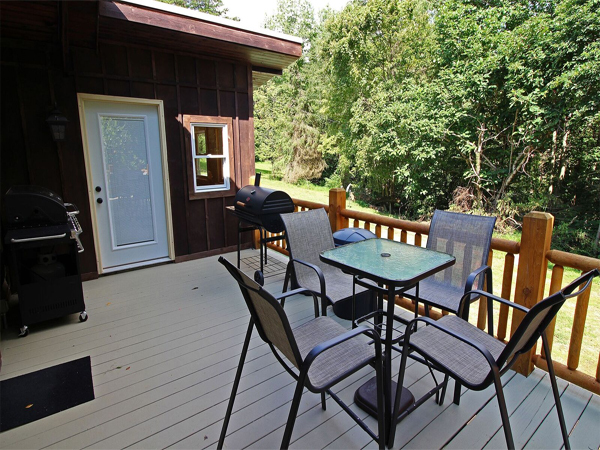 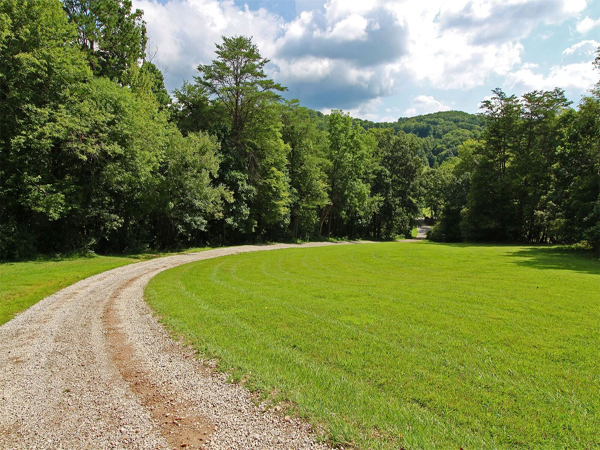 With Hocking Hills State Park and area attractions only minutes away, we highly recommend you enjoy the splendor of the great outdoors, but you may not want to leave the beauty of these great indoors. 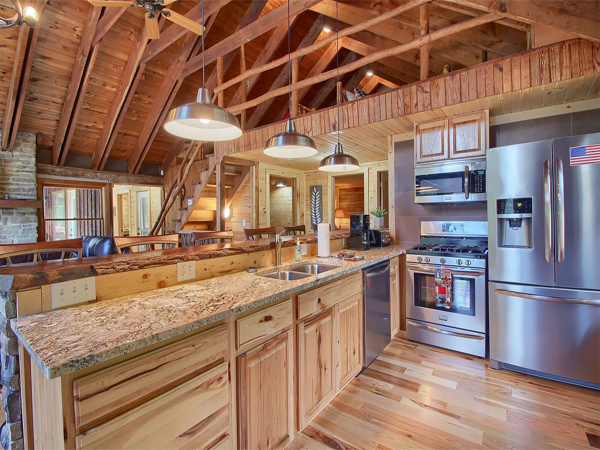 Two kitchens with stainless steel appliances are well-equipped for preparing meals for your large party. 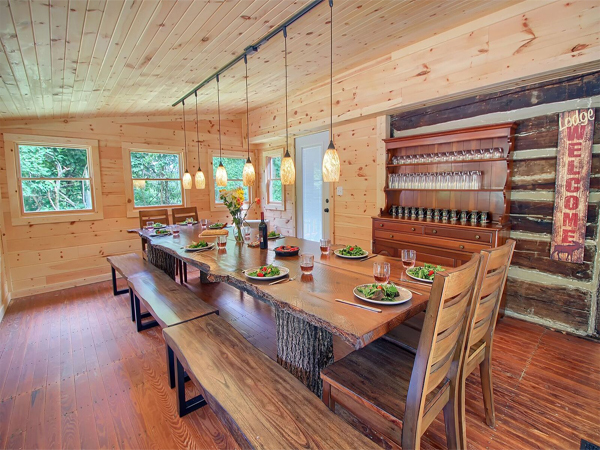 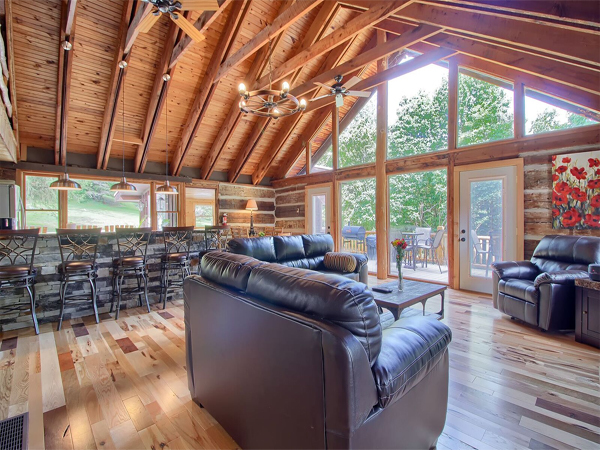 High Point Lodge enables your group to gather all together in the light-filled great room and around the custom-built rustic table, but there is also plenty of space to spread out. 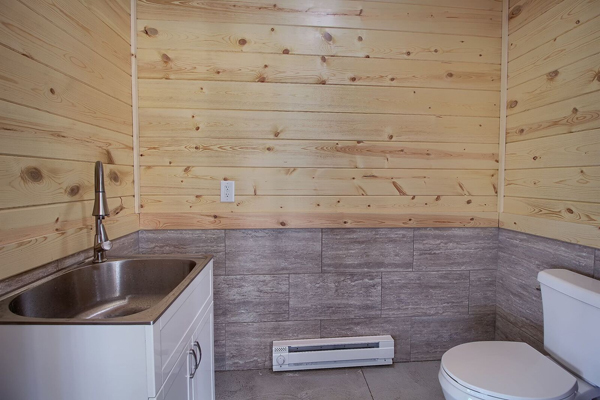 In fact, you may have to search for some of your company. 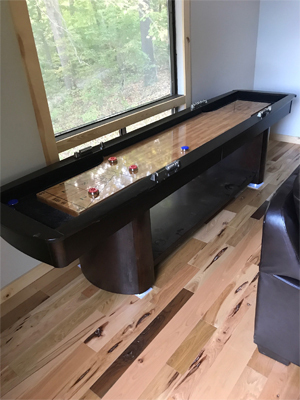 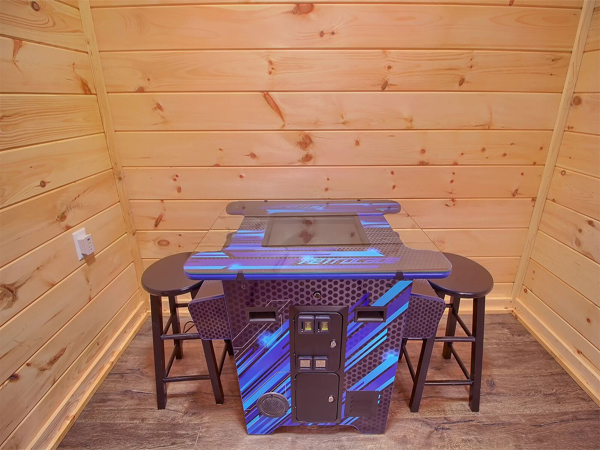 We suggest checking the lower level room with the pool table, 60 game arcade cocktail table, and bar or the secondary great room with the shuffleboard and bowling game table. 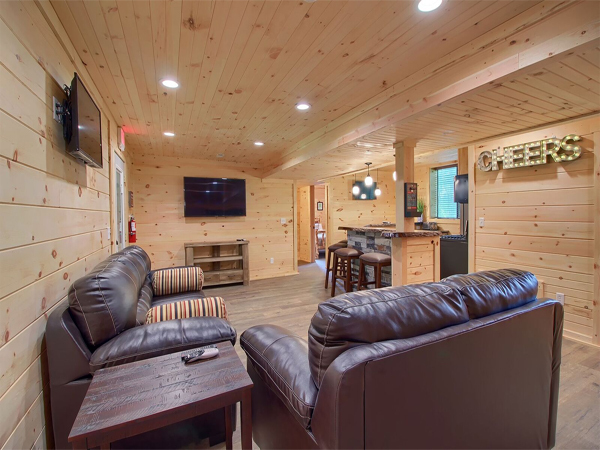 Six flat screen TVs with DirectTV make sure no one is fighting over the remote. 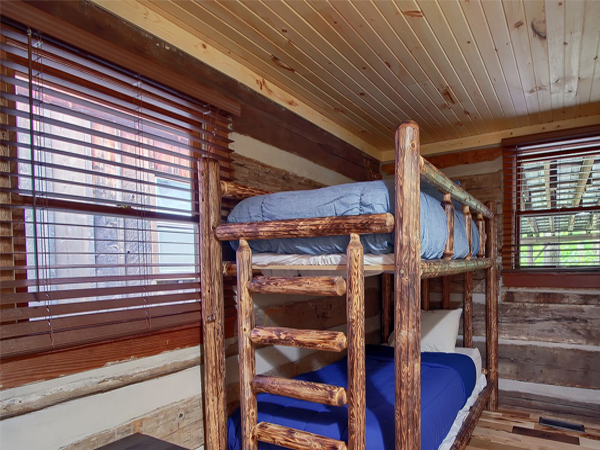 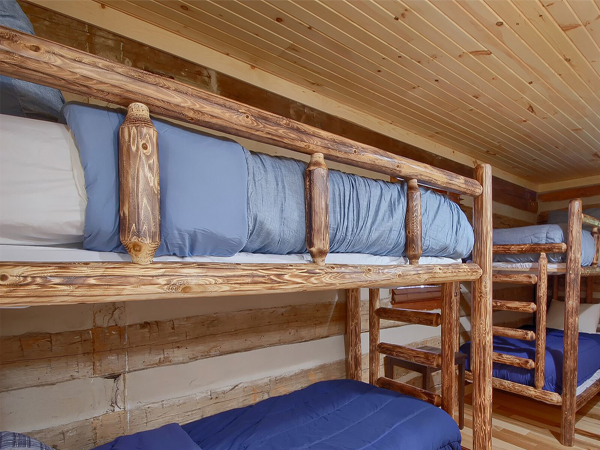 Children and the young at heart will love to snuggle up in the tent-like feeling of the loft. 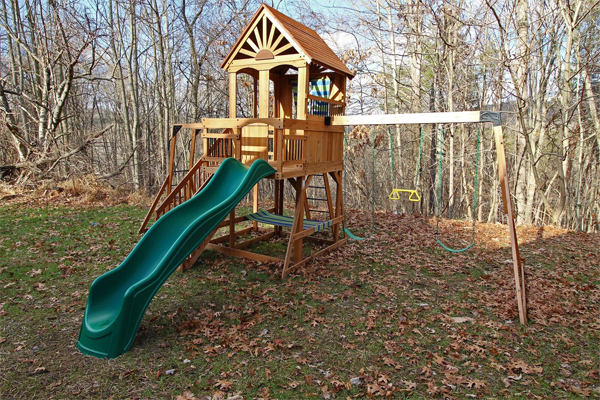 Kids can play for hours in the yard on the large play set, complete with swings, a slide, monkey bars, and fort while caregivers can look on from the expansive wrap-around porch. 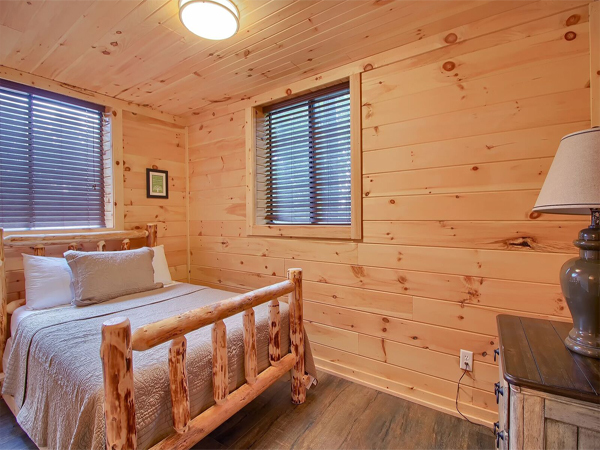 High Point Lodge is wheelchair friendly with wide doorways throughout the first floor. 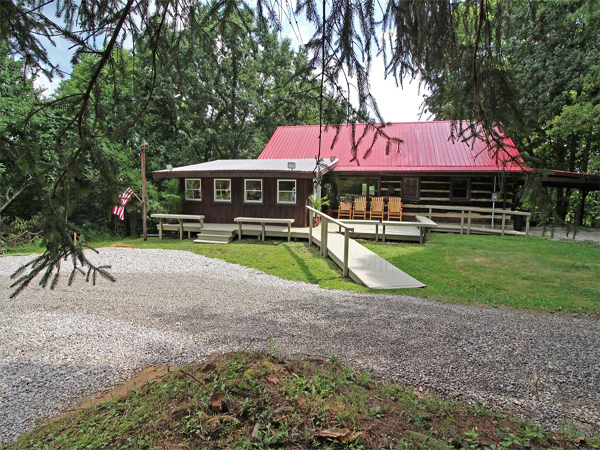 Guests with special needs can park close to the front door and use the ramp to the entrance. 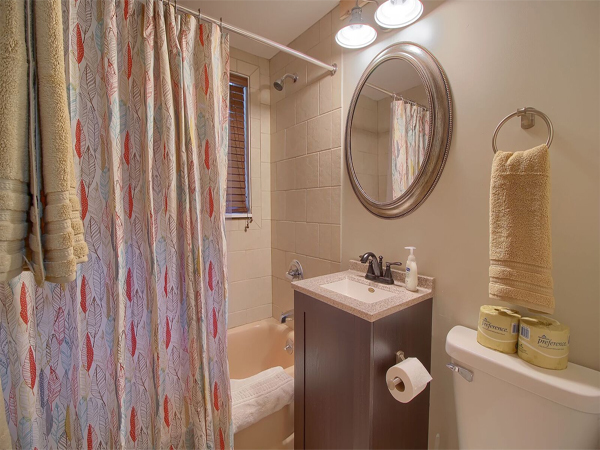 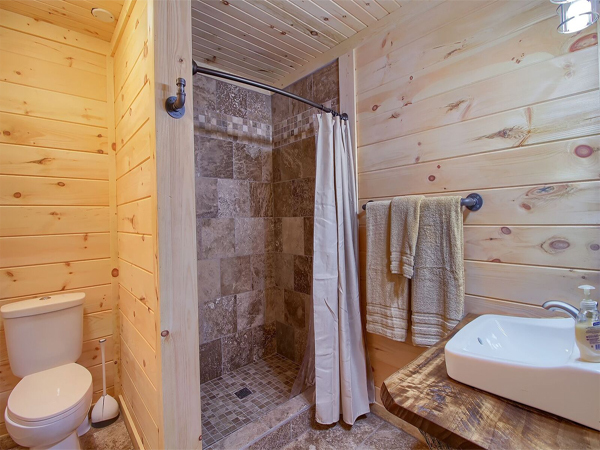 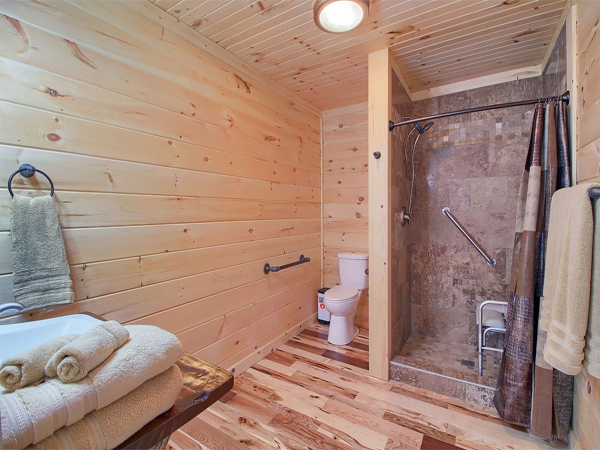 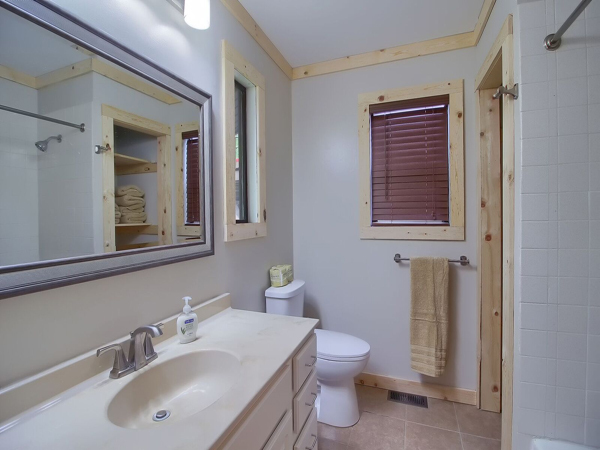 A shower on the main level includes a shower seat and grab bars for our guests' safety and convenience. 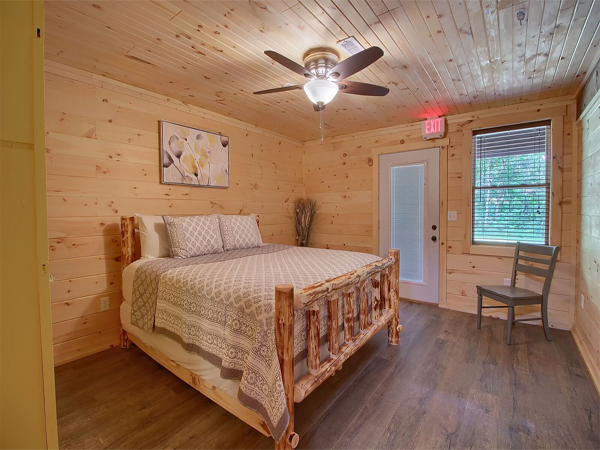 Guests pay 50% down to reserve plus an additional refundable security deposit, and balance is due within 30 days of arrival. 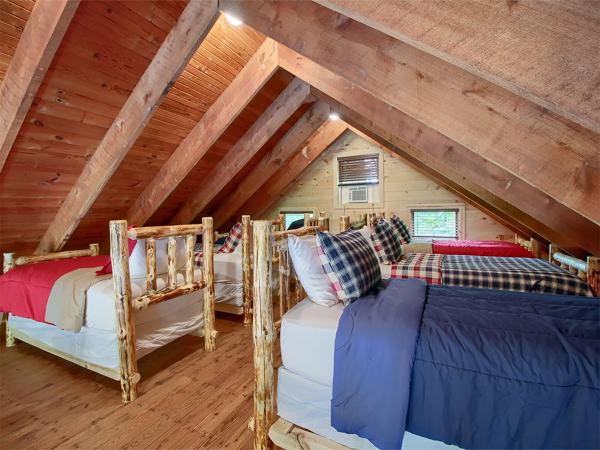 Cancellations and maximum occupancy policies will apply. 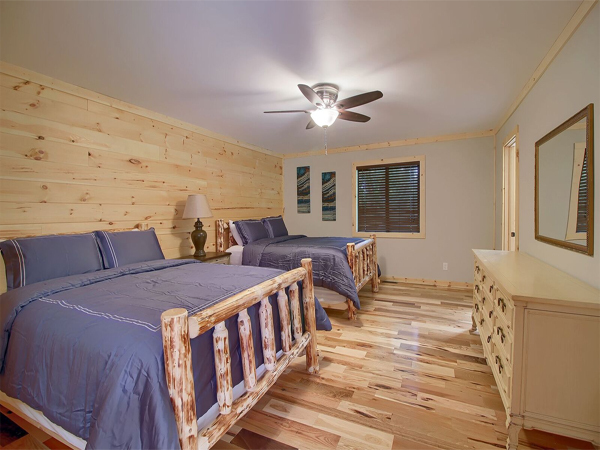 Weekday, weekend, and weekly rates are available. 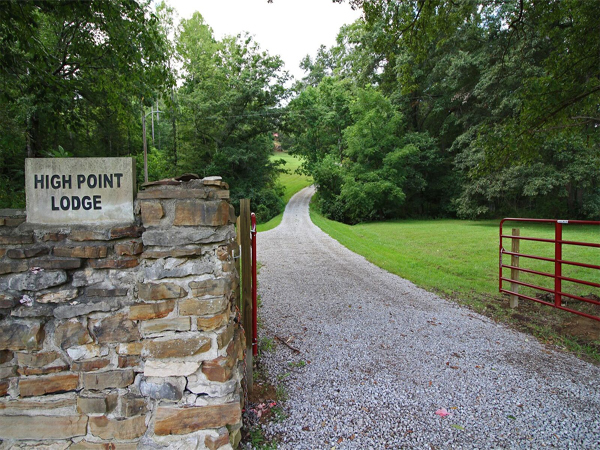 We know you will enjoy your stay at High Point Lodge. 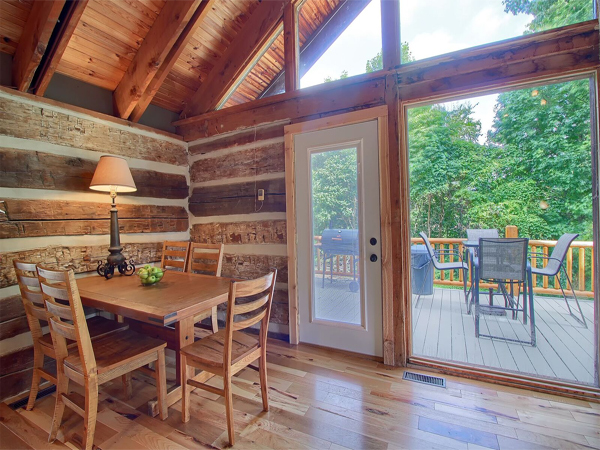 Call your Hocking Hills cabins search complete. 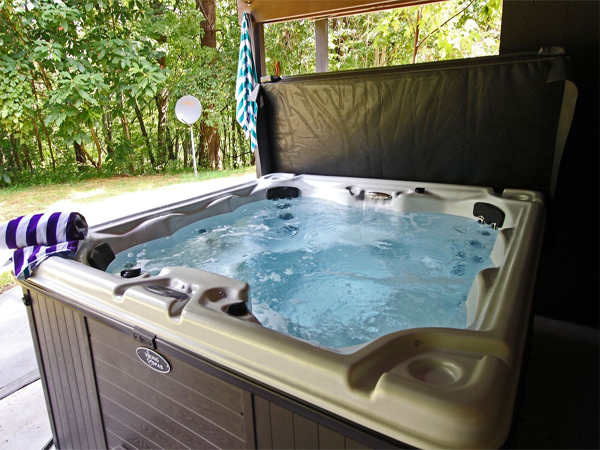 Experience the Premier choice!